China occupies an enormous role in today’s global economy and is the largest trading partner of the United States. The China Practice Group at Fox Rothschild is dedicated to assisting Chinese companies (mainland, Hong Kong, as well as Taiwan) in entering or doing business in the U.S. market and succeeding. We also serve the Chinese community in the United States on all types of legal needs. Our attorneys understand the needs and goals of Chinese businesses entering the U.S. market. 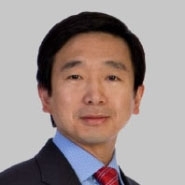 Fox is home to a significant number of lawyers with Chinese heritage as well as others who have strong personal connections with Chinese clients, either from China or already in the United States. Fox is a full-service, national law firm. We have offices throughout the United States and attorneys working in more than 60 practice areas. Our attorneys provide strategic advice to Chinese businesses in a broad range of industry sectors, including biotechnology, consumer products, electronics, pharmaceuticals, technology and telecommunications. Fox Rothschild is ranked among the top patent firms by IP Today magazine and in Intellectual Asset Management’s “Patent 1000: The World’s Leading Patent Practitioners.” We offer a full range of patent law services, including domestic and foreign patent prosecution; counseling and opinions regarding patent invalidity, noninfringement, and freedom-to-operate (FTO), such as due diligence in transactional matters and counseling in generic drug development and abbreviated new drug application (ANDA) processes; and patent litigation, including Hatch-Waxman litigation and ITC patent litigation. We provide strategies for domestic and international brand protection. We help clients manage and mitigate risk before problems arise. We provide a full range of legal services in trademark matters, such as procurement, opposition, cancellation, and litigation. Fox is ranked among the top 40 law firms in procuring U.S. trademark registrations by IP Today and the top 25 trademark opposition filing firms by Towergate Software. We assist Chinese companies in establishing U.S. subsidiaries and in organizing/reorganizing corporate structures. Our corporate attorneys guide Chinese businesses in complying with regulations and tax laws, as well as creating the essential contracts needed to launch a new business in the United States. Our tax attorneys provide strategic advice for minimizing tax burdens and avoiding unexpected expenses. Fox's experience with mergers and acquisitions is deep and varied. We serve as outside counsel to publicly traded companies, handle major acquisitions and divestiture activity for hundreds of national and international businesses. Our practice has a robust international dimension as much of our deal work involves transactions for companies throughout the world that are looking to buy or sell a business in the United States and for U.S. companies expanding abroad. Our Corporate team is adept at guiding growing companies through the complicated process of transitioning to publicly traded status. We are experienced in providing strategic advice for maximizing the benefits of an initial public offering and complying with security laws and regulations during this complex process. We are experienced in advising Chinese businesses on a wide variety of business operations, including inbound and outbound investments, joint ventures, distributor/agent relationships and international restructurings. Fox also frequently serves as local counsel for international companies looking to establish subsidiaries in the United States. In every international business transaction, consideration must be given to the tax consequences likely to be encountered. Our attorneys provide cross-border tax and business consulting with the goal of minimizing transaction-related taxes. Our attorneys have extensive experience in handling proceedings before the China International Economic and Trade Arbitration Commission (CIETA), the International Centre for Dispute Resolution (ICDR), the International Trade Commission (ITC), the Hong Kong International Arbitration Centre (HKIAC), and the China International Trust and Investment Corporation (CITIC), among many others. Immigration is a constantly changing, politically charged area that demands diverse experience and talents as well as creativity and flexibility. Fox attorneys provide leading-edge representation to a range of clients, from employers in business, health care and academia recruiting foreign-born leaders, staff and professionals; to investors and entrepreneurs seeking to relocate to the U.S.; and to family members seeking unification and naturalization. Fox's multidisciplinary group of EB-5 attorneys is drawn from our Corporate/Securities, Immigration, Government Relations, International, Real Estate and Tax Groups who provide an integrated approach for clients with EB-5 immigration and/or investment matters. Every U.S. workplace needs appropriate policies, procedures and auditing systems in order to function. We assist U.S. subsidiaries of Chinese companies and U.S. companies with Chinese founders in establishing smart policies that satisfy all state and federal regulations. Treating employees consistently based on appropriately established policies is one of the most effective ways to prevent lawsuits and decrease employee turnover. Pension and welfare benefits and executive compensation programs are increasingly important in recruiting and retaining essential talent. At Fox Rothschild, we have experience in designing and implementing employee retirement, benefit and compensation programs that serve the needs of publicly and privately held employers and their employees. We are experienced in advising Chinese immigrants, including new EB-5 immigrants, on strategic planning to minimize the tax burden that results from business income. Fox attorneys are adept at guiding clients through the federal income tax impacts of engaging in various business transactions, including formation and operation of a business entity and structuring compensation of key employees. We have experience in deferred compensation arrangements and designing alternatives of structuring the sale of a business or the admission of new investors. We assist Chinese immigrants in protecting their wealth and planning for their families. We provide sophisticated estate planning advice to preserve wealth, and we assist trustees and executors with the administration of trusts and decedent’s estates, helping them navigate the often complicated system of intestacy laws and providing advice regarding fiduciary responsibilities. Increased scrutiny by the U.S. Food & Drug Administration of the biotechnology, medical device, and pharmaceutical industries has made skilled legal counsel essential for clients on compliance and regulatory matters and risk mitigation. Fox assists clients to effectively address FDA concerns as they strive to grow and expand their businesses. We provide strategic counseling on product formulation, regulatory approval, labeling, good manufacturing practices, claim substantiation, recall issues and other matters across FDA product centers. We also provide strategic counseling on various aspects of food and dietary supplement regulations, including review of product promotional materials to ensure compliance – from labeling to advertising and beyond. We help clients minimize risks related to product liability, antitrust, and corporate compliance.